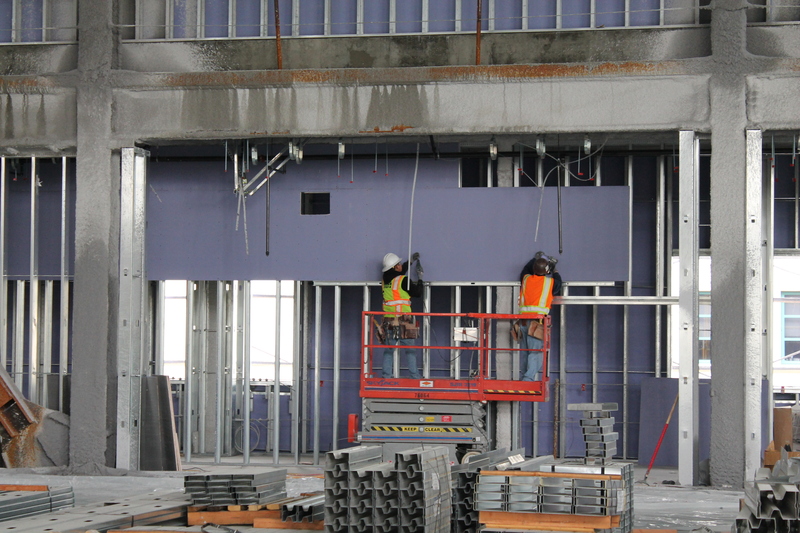 It’s hard to miss the bright purple walls appearing around Aztec Student Union. A view of the exterior drywall just after it was installed (January 2013). Installation of the exterior drywall started on the north side of the building, facing Student Services, back in January. It’s part of a multi-step process that will eventually lead to the building’s “dry-in” scheduled for later this spring. Dry-in is a construction phrase that refers to making a building waterproof. 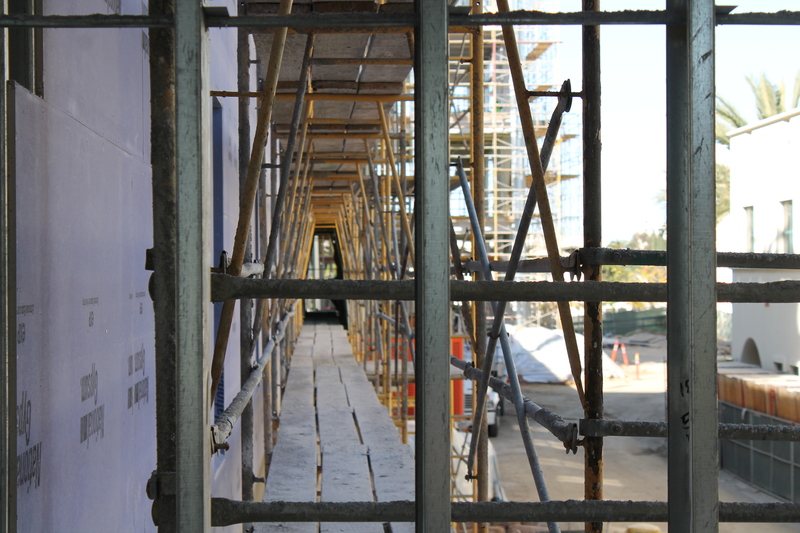 A view of the drywall via the scaffolding on the north side of the building. But, with the recent rains you may be wondering how that drywall is faring. Thankfully, the drywall being used is safe for exposure to the elements and dries out even after the rains we’ve experienced in the past month or so. 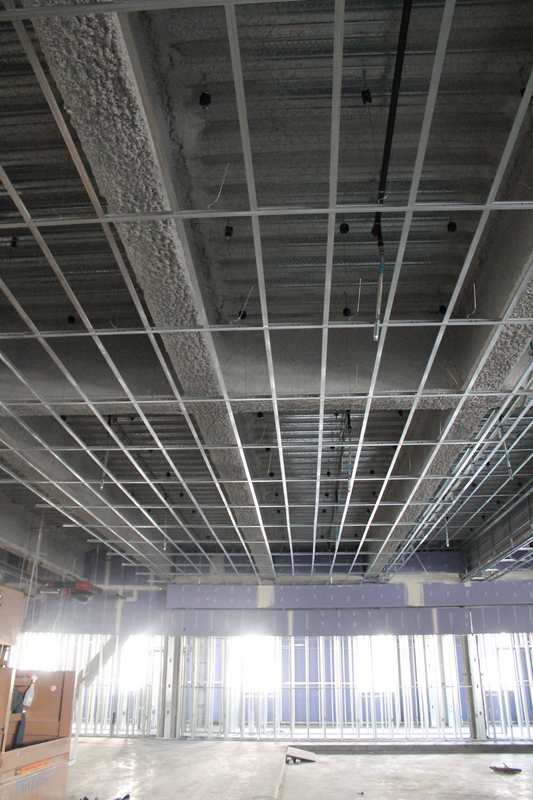 Drywall has been installed in Aztec Lanes (March 2013). That same purple drywall is being used on top of and inside the union, too. The roofline is increasingly becoming a purple-hued vista. 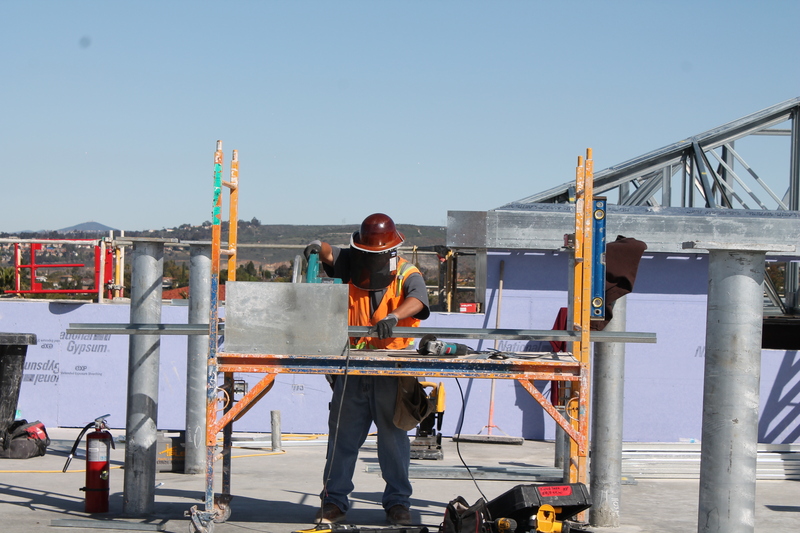 A crew member cuts framing for the roof near an installation of drywall (February 2013). Crews have been diligently installing it throughout the basement and it appears in spaces on the upper floors, too, like Aztec Lanes and Montezuma Hall. Thankfully, the purple walls are only a temporary measure and will soon disappear. 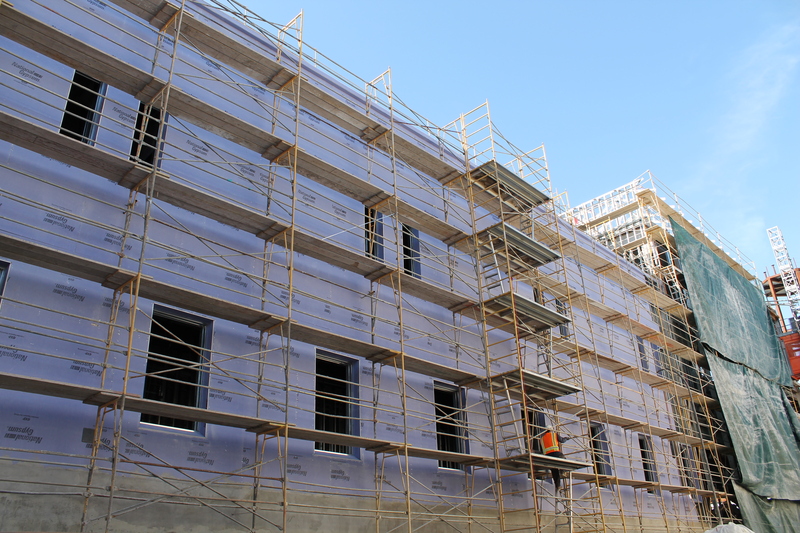 Crews install top-down drywall in Montezuma Hall (February 2013). Need more Aztec Student Union? Be sure to “like” the project on Facebook, follow it on Twitter or visit the website.